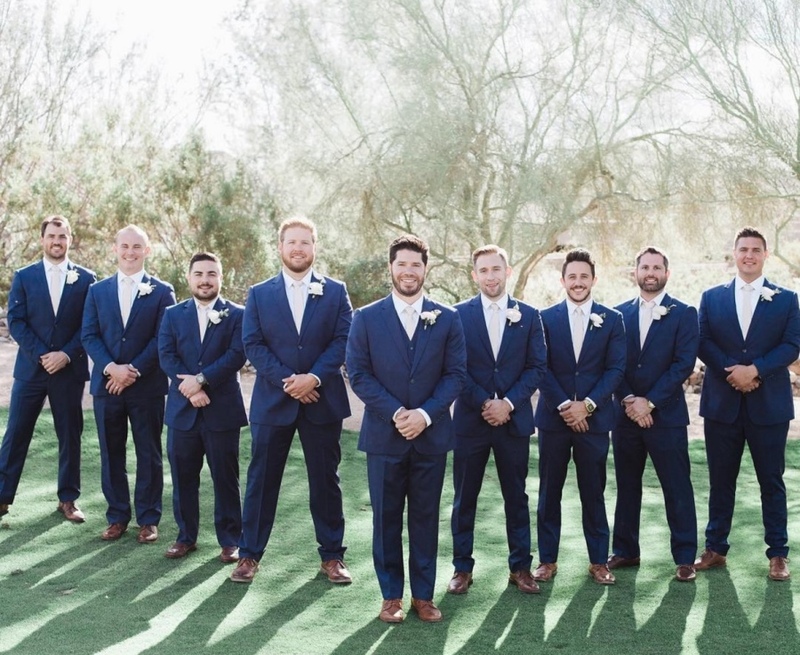 Matt and his groomsmen wore brilliant blue suits for their winter wedding in Arizona. The guys paired their look with blush slim ties and tan shoes. 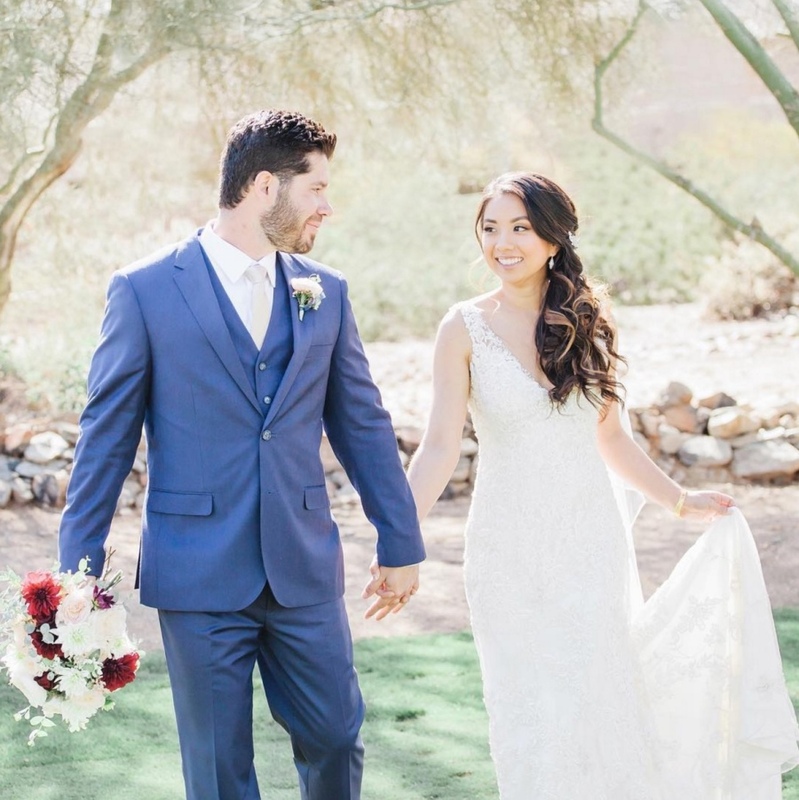 Matt stood out from his groomsmen by wearing a brilliant blue three piece suit.